Digital touchpoints in retail - yay or nay? What role could, or should, digital have in your physical retail environment? What role could, or should, digital have in your physical retail environment? It’s a subject which has provoked me into passionate and heated debates with technologists, hardware peddlers and retailers. I believe 200 percent that digital enablement is an enhancement that retailers need to integrate into their environments to improve the shopper experience. Location based engagement, “with me, for me, on my terms” is a new frontier for retailers to gain ground, differentiate themselves and remain relevant with their shoppers. But only when the time is right. You can’t go into this half-baked. In a past life – we are talking nine or 10 years ago – I was one of those people who experimented with digital touchpoints in the New Zealand retail environment. It was back when the technology was expensive, the software was unreliable but the enthusiasm bleeding edge. The experiment was an unprecedented disaster but we did have the foresight to forecast that. We were a large business with a strong desire to innovate and desirable real estate which made us a prime target to launch. The real appeal for us was the potential big bucks involved (coming in, not going out). Our intentions were not entirely pure and our execution was fatally flawed. “You can only put that where there is a current electrical source”…”oh no, you can’t put it there as we already sell that space”…”you can’t speak with that supplier as it will undermine something else we are doing in the business”. Yeah, yeah, nah was pretty much our mantra as we made it as hard as we could, banked the cash and watched it fail. And even today that experience is being repeated by retailers the world over. Some see digital as a way to save on marketing investment. “We won’t need to print posters and at the same time we make money from the new communications network we have created”. Digital investment needs to be measured against a of myriad business priorities and indexed against how it impacts the brand, shopper engagement and businesses performance. But what does good look like? Internationally there are some great examples of innovative digital execution and I am watching them with interest. 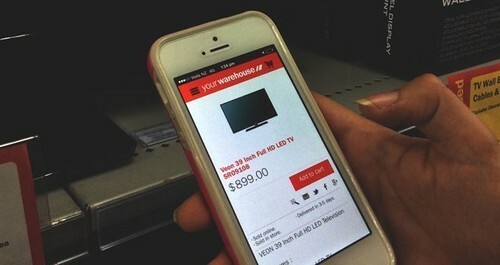 The Warehouse has launched a new app which enables price comparison in store against The Warehouse’s inventory and that of competitors. Absolute transparency. It goes one step further, enabling you to buy the product if The Warehouse is your retailer of choice. Canadian sporting goods retailer Sport Chek recently opened its new flagship store in the West Edmonton Mall featuring a wide range of digital technology; more than 800 screens populated by 220 channels displaying product images and deals, store-wide anthems, and community walls filled with local sports information. Nearly 500 individual screens are complemented by 250 computers, 25 large-format tabs, 80 tablets and more than 1,200 square feet of digital projection. 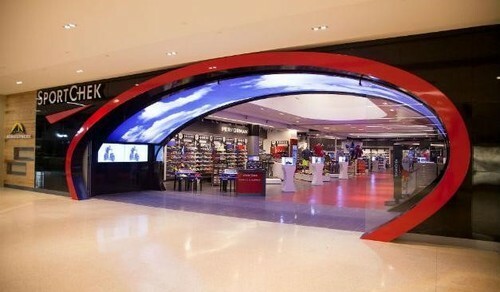 This is technology on a scale we are unlikely to ever see in New Zealand but all credit to Sports Chek who have created a formula to personalise the shopping experience and instantly connect with passionate, sports mad shoppers. And just across the Tasman, Sportsgirl has created a series of digital store windows along with many other digital engagement initiatives. 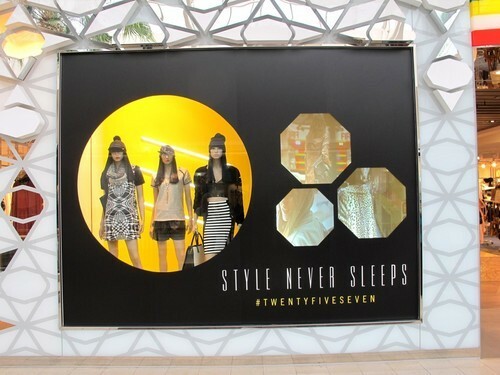 Implemented in flagship stores, the windows are supported by an augmented reality smart phone app. I applaud them for taking a leadership approach. ROI and engagement are yet to be proven, but be patient, good stuff does take time. Tiki tour over, let’s cut to the chase. Pushing the digital boundaries is an admirable intention, but unless you have clear content and a robust engagement strategy, your efforts are likely to die in a hole. Content is the frontier and you need to fight hard to win. Don’t be the retailer with your TVC and those of your suppliers on a continuous loop. And please don’t be the retailer with out of date content or, even worse, digital that is turned off or not working. I spoke to someone from a bank who didn’t have a clue what they were going to put on their queue busting, information sharing, local community engaging screens on an ongoing basis, let alone have the infrastructure to support local content (all of which was part of their brief). And please, please don’t even think about digital in retail until you have resource i.e. people, to dedicate to it. How many retailers and marketing departments still shoehorn digital engagement and social, let alone as a physical touchpoint, into someone’s existing role? And chances are it’s someone without the necessary experience or skill level. So before you put your head over the parapet to assess vendor capability or issue an RFP for supply, make sure you have thought long and hard about what how you are going to generate engaging, relevant, compelling content that is sustainable over time. Otherwise you will be pouring money into a black hole and I can give you an offshore bank account which I trust will give you a much better return.